Established in the year 2008, Ludhiana (Punjab, India), we G. N. Polymers Pvt. Ltd. are engaged in manufacturing a qualitative assortment of Two Wheeler Butyl Tube, Car Butyl Tube, ADV Butyl Tube, Farm Butyl Tube, Trailer Butyl Tube, LCV Butyl Tube, Truck Butyl Tube and many more. At our infrastructural unit, the offered products are manufactured using high quality rubber and advanced technology in compliance with the industrial norms. This infrastructural unit is furnished with the latest tools and machinery that helps us to provide this range to customers as per their exact needs. The offered products are checked by our quality experts against diverse quality parameters. G.N. Polymers Pvt. Ltd. has the backing of three decades of experience in the Automobile and Auto Parts & Accessories market. 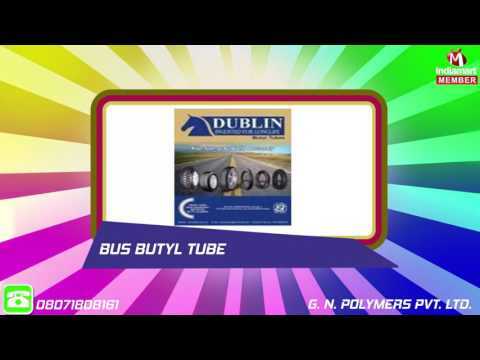 A dynamic player of great repute, it was established our brand in 2010 which is DUBLIN Butyl Tubes that has made an unprecedented impact in the local and global markets alike. We offering our products under the brand name Dublin.